The history of a television news station can be told from many perspectives. Some histories may frame a discussion around the context of national news media, others may focus on a station’s affiliation and ownership, and others still may hone in on a broadcast technology perspective. WSJV’s story should be told through all these lenses. This post will address WSJV’s chain of ownership, network affiliations, and changing production technologies. We can explore these topics through WSJV’s countdowns. These are different from the countdown you might see on film leader. These video countdowns appear as 5-10 second clips between news production segments on WSJV library tapes. They generally provide a WSJV logo, affiliate logo, date, and countdown on top of a background image. The bulk of videotapes in the WSJV News Collection have these countdowns between each news production component. An interesting question is: how can we track the developments of WSJV through these media artifacts? What information do they tell us–or not? The WSJV News Collection contains videotapes dated as far back as 1981, but the WSJV station began in the 1950s. In March 1954, WSJV started broadcasting as an ABC, NBC, and CBS affiliate station in Elkhart, Indiana. When the South Bend-based WNDU signed on in 1955, it took the NBC affiliation and WSJV transitioned into a primary ABC affiliate. An “affiliate station” is a local station that signs a special agreement with a major broadcasting network. The local station receives a quota of major network programming (for example, a popular sitcom) in exchange for certain agreements such as revenue sharing. These affiliation agreements were hugely important in the 1950’s as American broadcast media transitioned unevenly from radio to television. 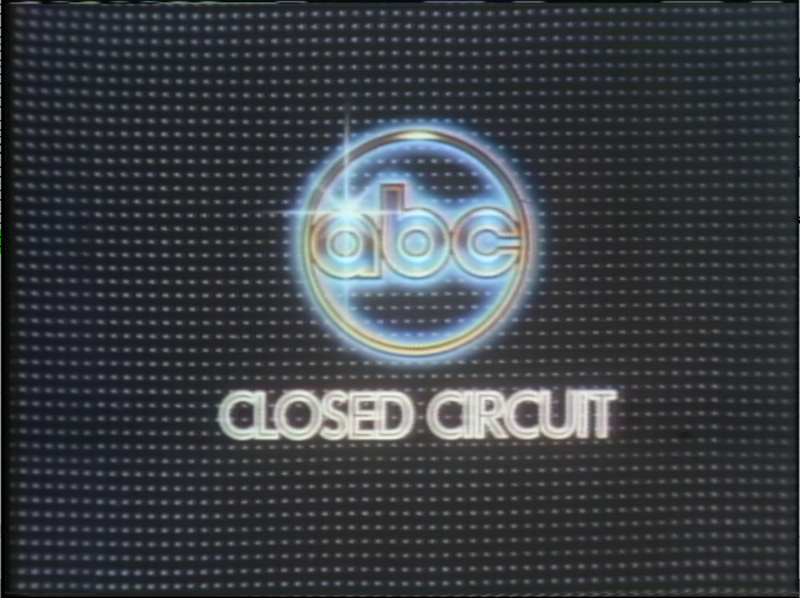 Local stations could gain viewers through popular programming (ABC, for instance, brought with it American Bandstand and Disney programs like The Mickey Mouse Club). In response, higher viewership brought increased revenue to the station and the major network. This network/station affiliate relationship remained central to WSJV’s operation until its closing. Screen grab showing an example of a monitor image provided to WSJV by ABC. This image would have appeared on production studio monitors when they weren’t playing other broadcast components (live reporting, sound bytes to be cued up, etc.). July 6-16, 1982. WSJV likely used a range of media in broadcast production before the dates of the Indiana University Libraries Moving Image Archive (IULMIA) collection. Before videotape, stations could only record broadcasts using film kinescopes. Kinescope technology allowed stations to record broadcasts for reference or re-airing, similar to a later videotape library. The WSJV News Collection does include some taped kinescope recordings. 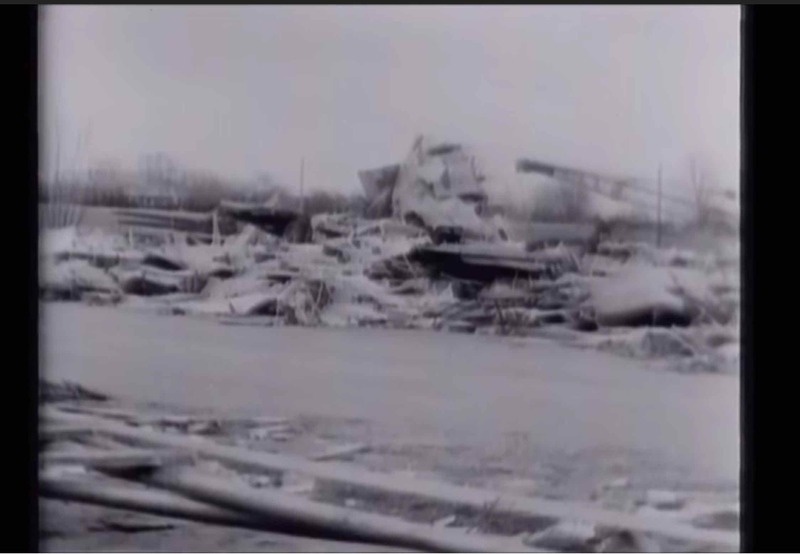 These are from the station’s coverage of the 1965 Palm Sunday Tornadoes, that killed 50 people in Elkhart County alone. WSJV taped this footage for later re-use, including a station retrospective in the early 2000’s. Screen grabs of a DVC tape copy of WSJV’s 1965 broadcast after the Palm Sunday Tornados. The Palm Sunday coverage came less than a year before WSJV transitioned to color broadcasts. In 1966 the station started airing ABC packages in color, and by 1968 WSJV aired all of its local programming in color too. Throughout the 1960s WSJV probably transitioned fully from using film to videotape during broadcast production. We are not sure what video formats–2 inch helical scans, ½ inch open reel, etc.–WSJV used during this time. By the early 1970’s, however, most television news was produced using videotape rather than film. These themes are evident in the countdown footage from the WSJV News Collection. The countdowns appear across different videotape formats. WSJV didn’t use one specific tape format at a time, so there is chronological overlap between the Umatics, VHS, and DVC tapes. This example is pretty basic. 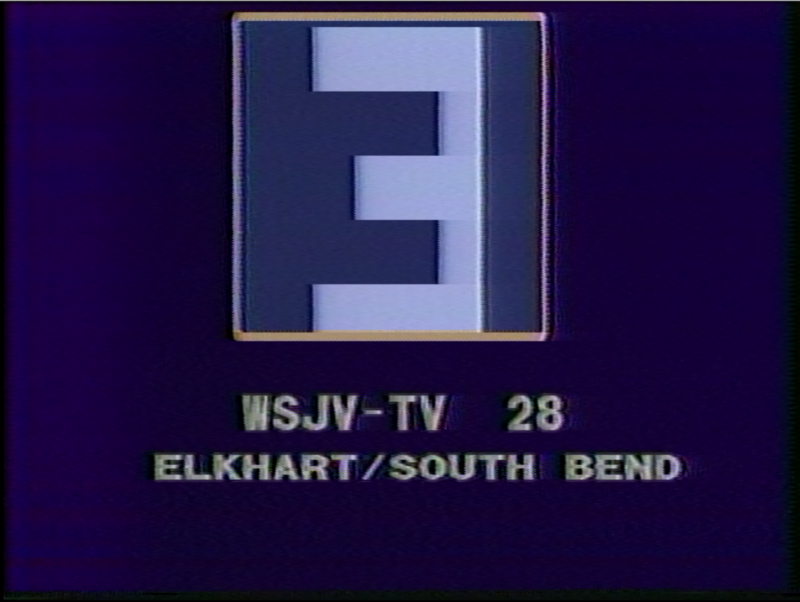 It includes a credit line for WSJV and its channel number (28), a location line for Elkhart/South Bend, and an animated numerical counter. The Umatic tapes in the collection from the 1980s do not ubiquitously contain countdowns between production segments, but the countdowns represented are of this simple iteration. This countdown is from a September-November 1990 Umatic tape. 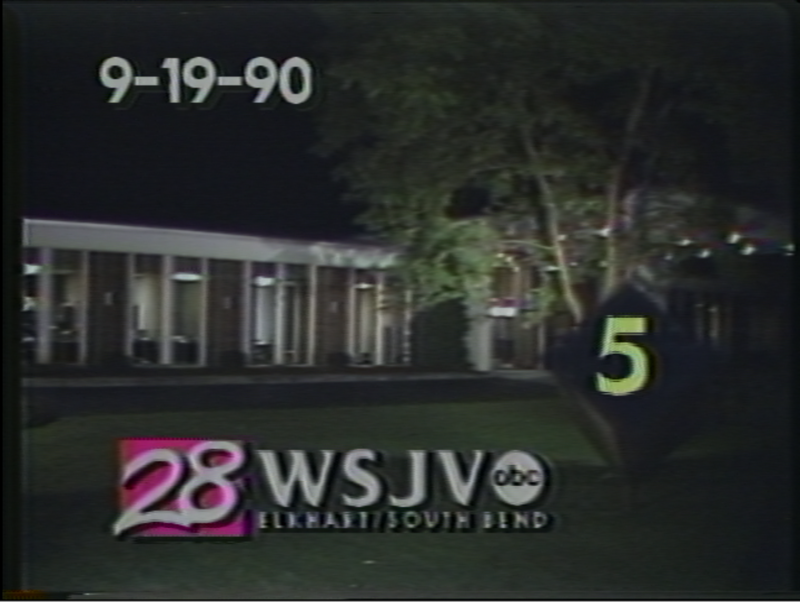 The countdown features a nighttime shot of the WSJV station building, a compound WSJV 28/ABC logo, a location line for Elkhart/South Bend, and an animated numerical counter. The countdown here is similar but not identical. 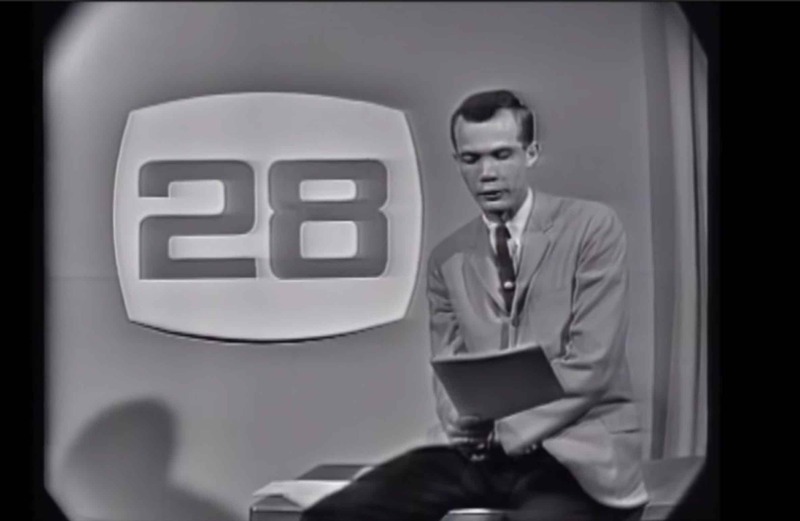 The WSJV channel 28 logo appears before the ABC logo, and this countdown includes a specific date. Why would two different countdowns appear on the same tape? Although we are not yet certain exactly how WSJV employees assembled these library tapes, some clues indicate the answer. Take another look at the ABC Closed Circuit monitor image above. This image didn’t appear to viewers during WSJV news broadcasts, it was just a test image producers could use on studio monitors. It appears on a tape from the WSJV library because employees could record library tapes straight from these broadcast monitors. The same likely goes for these 1990 countdowns. They would have appeared on broadcast monitors in the studio between segments. The countdown allows the producer to cue up a segment exactly. These two countdowns probably played on different monitors in the production studio around the same time. It could be that certain monitors played certain countdowns, or it could be as simple as a producer incidentally created a second countdown for his or her immediate use. The important thing here is to see how these countdowns can be understood as “internal documents” for WSJV. They give us an understanding of the studio’s self-image throughout time. This example is from a VHS tape dated October 1995-January 1996. A few changes are immediately apparent. First, the production aesthetics have changed quite a bit from the early 1990’s examples above. 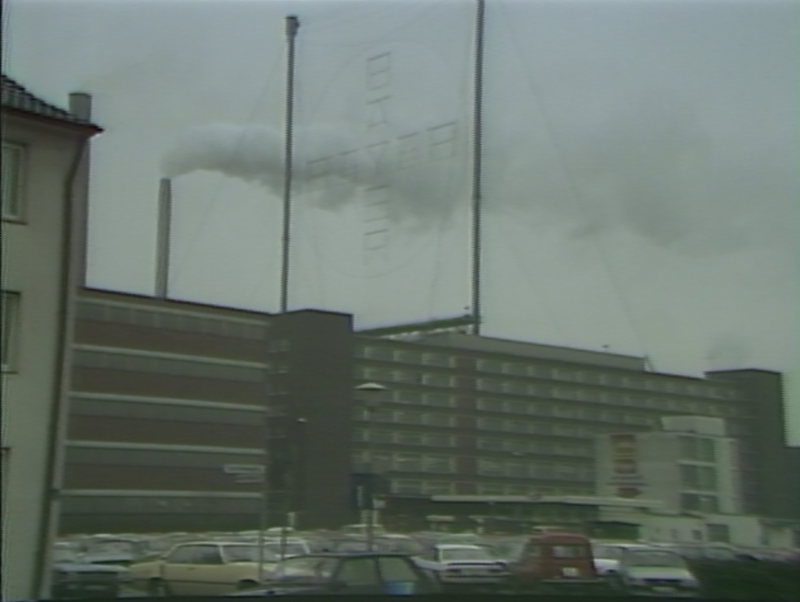 The background image shows a busy production studio rather than the exterior of the building. The text and animation components take up a larger portion of the screen. The countdown animation appears twice: one that looks like a digital clock timer (bottom left) and a rotating number (top right). The overall effect is much “busier;” this countdown was definitely designed to evoke the rapid-paced image of 24-hour news networks. Another key difference: WSJV has a reduced presence on this countdown. 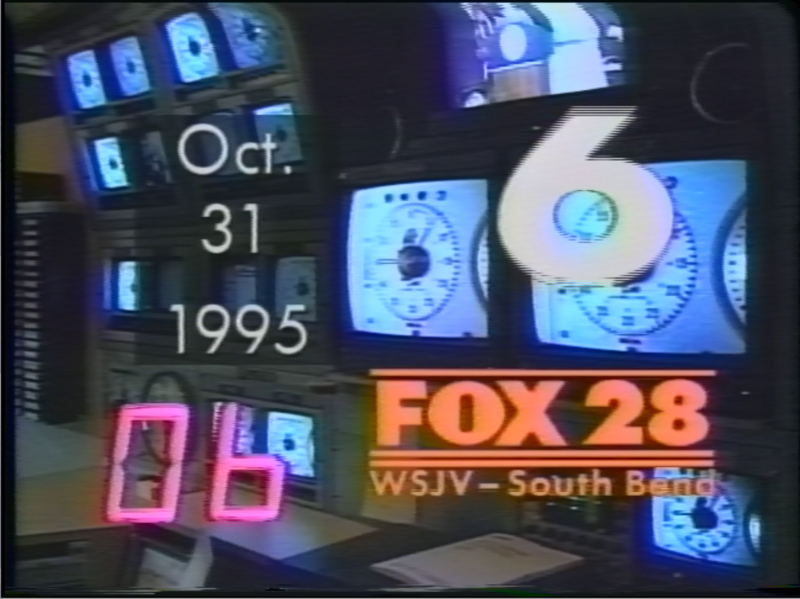 Rather than the large “28 WSJV” logo in the September 1990 example, here the main credit is given to “Fox 28.” WSJV receives a smaller credit line below and a location credit of South Bend (rather than Elkhart/South Bend). Even though the station was located in Elkhart, WSJV was strongly associated with simply the South Bend region during its Fox affiliation. South Bend is a more widely recognized city (home of Notre Dame) and is identified with a Chicago sports fan base. It’s worth considering here: what shifts are happening here? Can we trace a trajectory away from the “local-ness” of the station? How can we characterize the change in WSJV’s internal image? Any trace of location or local station name is gone here. Instead, we get the glossy intro animation we associate with major network news: quickly shifting bars of color and line behind a big network logo. 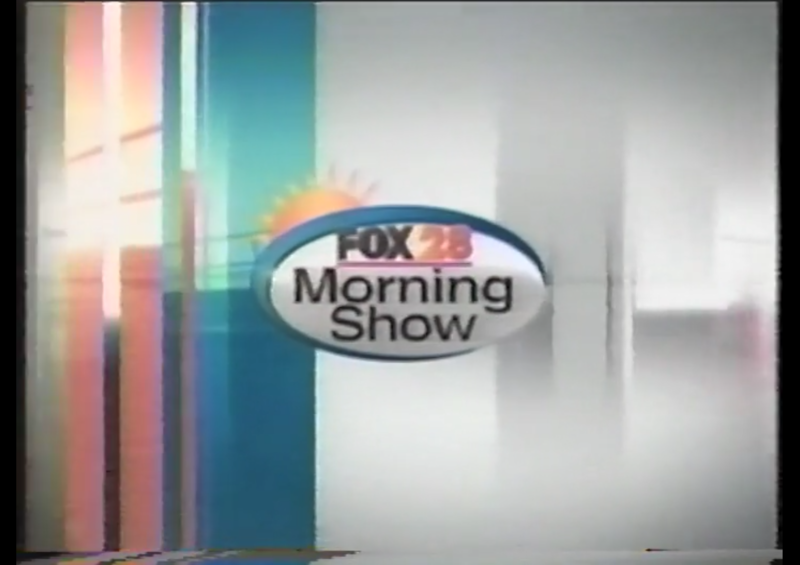 Programming, too, has become closely tied with the network–most people now associate the informal “morning show” format with networks like Fox. Although I hate to tell a story of decline, WSJV’s history ends with a loss. In 2016 Quincy Media transferred WSJV’s Fox affiliation to WSBT-TV in exchange for ABC and CW affiliations at a Peoria, Illinois station. The sixty-two year old local news station aired its last news broadcast July 29, 2016. WSJV staff all either transferred to other stations or were laid off. Although the reasons for the station’s closure are complex, I hope that these historical details give you some context for the event. Local media is an important form of self-expression. I encourage you all to ask what happens to that expression when larger entities–such as major networks and owning companies–are so closely involved. The following video is a supercut of these logos and countdowns. The countdowns are bracketed by the surrounding footage on each tape. The countdowns from the 1980’s and the first September 1990 countdown appear at the beginning of tapes, so other segment footage only follows the countdowns. The September 19, 1990 and October 31, 1995 countdowns are bracketed on both sides by other footage on the tapes. This gives you a sense of how the countdowns separate segments on the WSJV News Collection videotapes. Several years ago, as a graduate researcher at the Walter P. Reuther Library of Labor and Urban Affairs, I kept having these vivid flashes of straight-up authenticity while examining news photographs. I was looking at Anthony Spina’s original prints of the 1967 “Twelfth Street riots” (largest urban uprising in U.S. history) for the Detroit Free Press. Something about handling these pre-published documentary photographs, that I had seen for years reproduced in hundreds of places, felt exceptionally raw and real. I grew up familiar with Detroit–it’s where my paternal roots are, and my dad and I visited family many times a year. This archival experience, though, provided me the most powerful connection I’ve ever felt with that city. Since then, I have understood how significant uncompromising self-representation and documentation is for communities. A couple hundred miles south and a few years later, I was seeking out an internship with the Indiana University Libraries Moving Image Archive as an MLS candidate in the Department of Information and Library Science. I developed a keen interest in videotape and television preservation in IULMIA archivist Andy Uhrich’s Moving Image Preservation seminar. Andy proposed that I work with a new accession of thousands of videotapes from a defunct broadcast television news station in Elkhart, Indiana. Very little was known about the collection, except that the contents were a seeming mish-mash of pre-broadcast news components. I jumped at the opportunity and have found that the WSJV News Collection presents some of the most exciting opportunities and deepest challenges for archives to fill a significant gap in the documentation of regional communities in an era of media globalization. 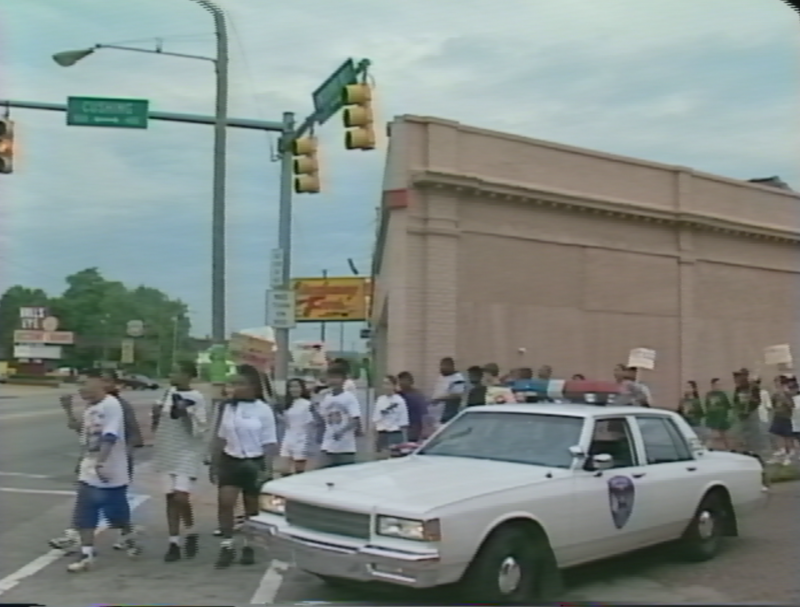 A screen grab of a WSJV segment on student demonstrations in South Bend, Indiana. July 26, 1995. WSJV was a broadcast television news station with major network affiliations from 1954-2016. The station used a range of technological advancements in broadcast news production across the 20th century. This includes broadcast production transitioning from film (kinescope), to magnetic videotape, to born digital recordings. Like most other television stations, WSJV utilized different videotape formats for most of its history. Long running stations like WSJV found that keeping a tape library was quite useful for ongoing news production. The tapes could help producers find, for example, b-roll and sound bytes without having to go out and shoot in the field. This collection appears to contain WSJV’s entire videotape library from 1981-2011. 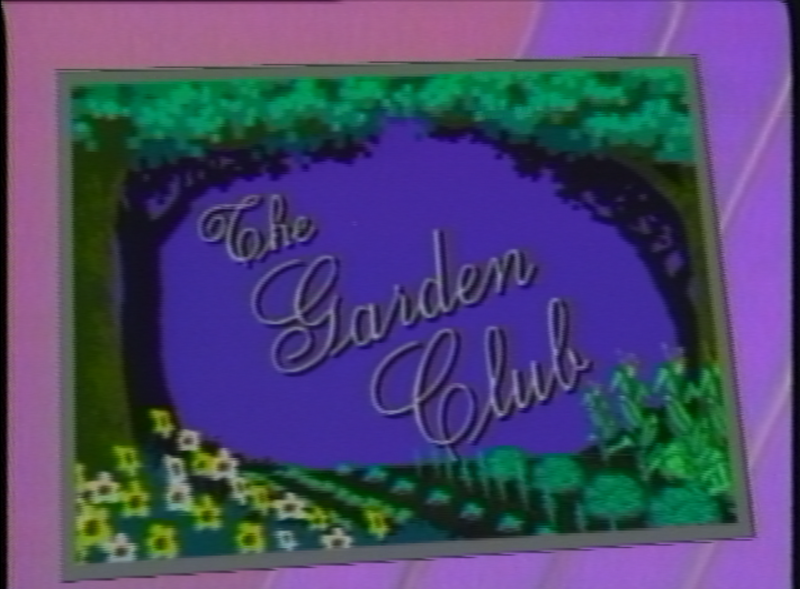 A screen grab of the opening animation for The Garden Club, a regular WSJV program featuring gardening advice with Mike Maloney. September 19, 1990. It’s somewhat rare for an archive to have and provide access to a broadcast news station videotape library. Archives and special collections across the United States do provide access to exceptional broadcast news collections. Some examples of these are endeavors initiated by the Association of Moving Image Archivists Local Television Project, including the Minnesota Historical Society/KSTP-TV Archive, Arkansas Educational Television Network Video Vault, and Boston TV News Digital Library. I’ll be talking about institutions and projects such as these in a later blog post. These collections largely provide access to documented whole broadcasts. Fewer institutions offer minimally curated (by the creating station) collections of news videotape libraries. The enormous richness of these objects is due both to their quantity and to their pre-broadcast, in-situ production use. The components on each tape (roughly 40 each) vary from “raw” in-the-field footage with no edits, to partially edited voiceover/sound byte segments, to more fully edited news story packages. Each tape has a chronological sequence of these components over a one- to six-month range. The effect while watching these is of a slice-of-life, informational sense of history. The raw connection you feel watching these tapes is akin to the experience I had several years ago at the Reuther. Rather than one city, though, WSJV documents an entire midwestern region. Screen grab of a WSJV segment about the Bayer Corporation plant in Elkhart, Indiana. July 1983. The plant closed in 2006. WSJV was major broadcast television affiliate for the “Michiana” region (northwest Indiana and the southwest tip of Michigan) 1954-2016. Michiana was a unique television market because it was a “UHF island” bounded by metropolitan areas to the north (Grand Rapids, MI and Milwaukee, WI), east (Detroit), south (Indianapolis), and west (Chicago). In other words, WSJV provided broadcast television news coverage for consumers without access to major metropolitan stations. The history of the region in the 20th century combines themes relevant to the rust belt cities that surround Michiana and the Great Lakes, including massive deindustrialization, changing racial and ethnic populations and resulting civil rights struggles, and public health concerns. The stories represented in the WSJV collection are extenuations of this regional history. Over the next few weeks, I’ll be opening up this collection in a series of blog posts. I’ll explain the history of WSJV, show how the collection can be used to research a significant topic (the AIDS epidemic in Indiana and Ryan White’s story), and provoke some questions that this collection asks of the archival profession. Overall, I want to give you a general sense of how we can process a collection like this and what it offers. The following video is an attempt to give you a glimpse of the range of content the WSJV News Collection offers (in just a few short minutes!). This is a compilation of segments from the 1980’s, 1990’s, and 2000’s. The segments feature a range of broadcast news production formats, including voiceovers, sound bytes, raw b-roll footage, a full package, and a recorded broadcast. I recently spoke with Lauren Sorensen, Preservation Project Manager at the Bay Area Video Coalition in San Francisco. Lauren graduated from the Moving Image Archiving and Preservation program at New York University and has since worked for the National Digitization Information Infrastructure and Preservation Program (NDIIPP), Canyon Cinema, San Francisco Cinematheque and now BAVC. Below she discusses preservation of analog videotape, working with artists and non-profits, and the future of moving image preservation. What are your main job responsibilities as Preservation Project Manager? My main responsibilities presently are preservationist for analog videotape for non-profits, archives, museums and libraries; preservationist and project manager for Dance Heritage Coalition partner project Dance Preservation & Digitization Project (formerly Secure Media Network), a digital repository of dance-related moving images; advising clients on collection care and handling; managing our collection assessment services; and metadata specialist. What formats do you work with the most? At this point in my work at BAVC, I’m not doing as much on the ground digitizing work, but I am definitely seeing the urgency now for preserving 1/2″ open-reel videotape, the first “portable” format financially (and physically) accessible to artists and non-profits such as dance companies and artists. We also work with Hi-8, Umatic and VHS quite a bit. I work advising our clients and building workflow for digital preservation, and I feel that is where my role at BAVC is headed moving forward. I often work with 10-bit uncompressed in a Quicktime *.mov wrapper, which is the preservation codec and wrapper we recommend to our clients currently for digitization from an analog source. For the Dance Heritage Coalition partner project, it is mainly discovering all the amazing possibilities associated with digital preservation and open source and the movement to open access; it can be very intimidating at first, but the software tools out there are really powerful and accessible if a little time is taken to learn. I feel like learning about these tools, because the standard now for analog videotape preservation is digital file, helps our smaller clients and I’m able to advise artists and those preserving their personal collections and I feel really good about being able to assist in that process. Another rewarding thing about working at BAVC is that artists come in wanting to work on their personal legacy and life’s work. Sometimes we are able to put them in touch with an archive but there’s a complexity around that- even though their legacy videotape might be better cared for at an archive with temperature and humidity control or access to server storage, an artist may not want to let go of their work. While this is completely understandable, many times analog videotape is so unstable that it will not last over the course of one lifetime. So we often end up discussing more around the complexities of caring for video outside of a traditional setting, a very involved but ultimately very rewarding conversation, when we can do something to come to the service of this part of our constituency. How does content influence your work? One aspect of the digitization process where content matters is in monitoring the signal and identifying between what was captured in the original recording and what are artifacts in transfer. We’re a partner on the A/V Artifact Atlas project and have just recently taken over maintenance of the wiki, which we will work on updating over the next two years, thanks to support from the National Endowment for the Humanities. Additionally, there are instances especially with artist-made videotapes when it is unclear if something like sync loss or artifacts are original to the intention of the work; in this case, we work closely with the archivist and sometimes the artist, to determine the intention and how that fits into the preservation process. Would you agree that in the field of moving image preservation, there is no intrinsic value in the physical item? We definitely come across artists who will use tape cases as art objects, and many times there are “traces” of what was produced before, such as metadata intrinsic to the value and provenance of the piece, so I would not agree with Wheeler’s statement especially regarding the community that we serve. Recording and maintaining this kind of legacy metadata is very important for digital preservation. I’m constantly blown away by the amount of time and money involved in moving image preservation. Are there ever times where you wonder “is this worth it”? I definitely have moments when I question the selection of content by curators or archivists we work with, but the work we receive in our role as fee-for-service digitization provider is coming from a particular context, where I don’t necessarily have the depth of understanding that the curator might have about what the history or value of that tape might be. Additionally, one of the really exciting aspects of analog video preservation is that many times the content for selection is based on tape labeling and how consistent or well-recorded metadata was in the original production. For example, BAVC received a Hi-8 video documentation of water freezing from the science museum in San Francisco for transfer. There was some challenges in terms of patience as a technician to have one-to-one supervision in transferring, but I can definitely see the value of what they are doing in preserving a tape like that — it was the opening of a major exhibition and Hi-8 is a volatile format. I think it will get easier and less expensive as tools are developed and people actively work on making the digitization activities we pursue streamlined. It helps that as a field we’re moving into the digital world, where we can make code and scripts work for us to make tasks less expensive and time-consuming. Any predictions about the future of your field? For analog video digitization, the recommended preservation format is digital; and with the fate of Kodak, I think the future is that a lot of moving image archivists are going to have to add digital preservation skills and tools to their bag of tricks. Digital preservation and archives is an exciting field to move into, I think, it’s just important to not be intimidated, dive in and try out sample files. I think the digital world gives our community a great opportunity in thinking about new ways of approaching what’s being preserved.